Note: Due to the chalky detail, this font is heavy to load and may freeze or crash the Windows font viewer. What does MF stand for? Misti's Fonts? 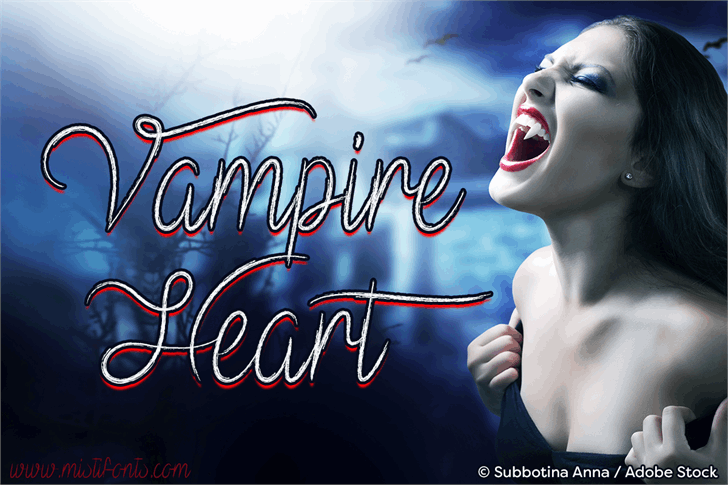 Vampire Heart is a trademark of Misti's Fonts.